Have you ever felt like you need a few more hours in bed when you wake up in the morning? That's fatigue, and it's never easy to take you through this phase. A couple cups of coffee may definitely help put you on the right track, but then how much coffee you can have anyway?Amagic alternative is to use essential oils to feel more productive, energetic, and alive. Keep reading to find out about 10 different types of essential oils for energy and more about how you can use them. 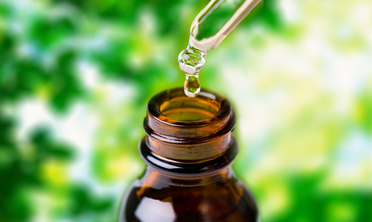 Different types of essential oils are now available in the market. The following are 10 most popular essential oils for energy though. When you find it difficult to concentrate after hours spent in work or studying, lemon essential oil will help make things better. It blends perfectly with ginger, basil and rosemary, and is completely safe in food amounts. Citrus essential oils have always been great for energy. You will feel more focused and productive. The powerful scent of orange oil will do the trick here. These oils can lift your mood and make it easier for you to get out of stress and depression that can cause fatigue. The oil proves quite beneficial to treat issues like asthma, loss of appetite, stuffy nose, acne, ulcers, burns, bleeding gums and more. It is also refreshing, stimulating your brain and improving the energy levels. It is important to dilute eucalyptus oil before use, and it is not safe to take it orally. Grapefruit oil is one of the best essential oils for energy and also proves beneficial for preventing bloating and water retention. It encourages the release of fatty acids in your bloodstream and your body breaks down those fat cells to get energy. Grapefruit oil suppresses appetite and is an outstanding option to use when you're trying to lose weight. There aren't any real side effects of using grapefruit oil, but some studies link the use of grapefruit juice with the development of breast cancer. It has a warming effect on your body and improves your energy levels by increasing blood flow to your brain. It also proves beneficial in minimizing inflammation, regulating blood sugars, and eliminating infections. It boosts your immune system and helps you fight off viral and fungal infections as well. There aren't many known side effects of using cinnamon oil other than being a skin irritant if not diluted first. Both peppermint and spearmint oils will improve your energy levels. Spearmint is the milder choice and is safe to use with children. Peppermint oil blends perfectly with spearmint and rosemary, whereas spearmint oil blends well with rosemary, basil, and peppermint. Due to its calming effect, it proves beneficial for children suffering from ADD and ADHD. The use of this essential oil will stimulate the limbic region of your brain – it stimulates the pineal gland as well. This stimulation will encourage the release of melatonin that improves your sleep quality and make you feel charged up in the morning. It is one of the best essential oils for energy, morning sickness, nausea, arthritis, indigestionand circulation. Ginger oil has also proven beneficial in treating issues like cardiac fatigue and muscle pain. There aren't any side effects, but you may not want to use it if you're taking blood thinners. You can inhale it or take it as a food grade supplement. It acts as a stimulant and proves extremely beneficial to deal with low energy, mental fatigue, and nervous exhaustion. It blends perfectly with lime, basil, and both peppermint and spearmint. You may want to avoid it in pregnancy though. You can use it topically, take it orally, or use it in a diffuser. You will find two types of basil essential oil in the market – French basil and exotic basil. They have similar effects on your system, but French basil is a more appropriate choice when used in aromatherapy. The oil stimulates your adrenal glands and plays a big role in clearing the mind and relieving mental fatigue. It blends well with spearmint, lime and rosemary. However, avoid it if you're pregnant. There are a number of ways to use essential oils for energy, but the inhalation methods are usually the best. You can opt for individual oils or use blends as well. If you choose to blend these oils, you should mix blends in a dark glass bottle that comes with an eyedropper cap. Add a couple drops of oil at a time. Be sure to mix the oils properly by rolling the bottle between your hands. You may have to experiment a bit to find a blend you like most. Just keep records of which oil you use and exactly how many drops you use. Once you have your blend ready, you can try the following methods to use essential oils for energy. Inhale its scent directly from the bottle. You can also add a few drops of the blend on a tissue and sniff it when needed. Use your essential oil blend in a diffuser to spread its scent through your room. Use it as air freshener after mixing a tablespoon of vodka, 12 ounces of distilled water, and 30 drops of essential oil in a spray bottle. Shake well before use.